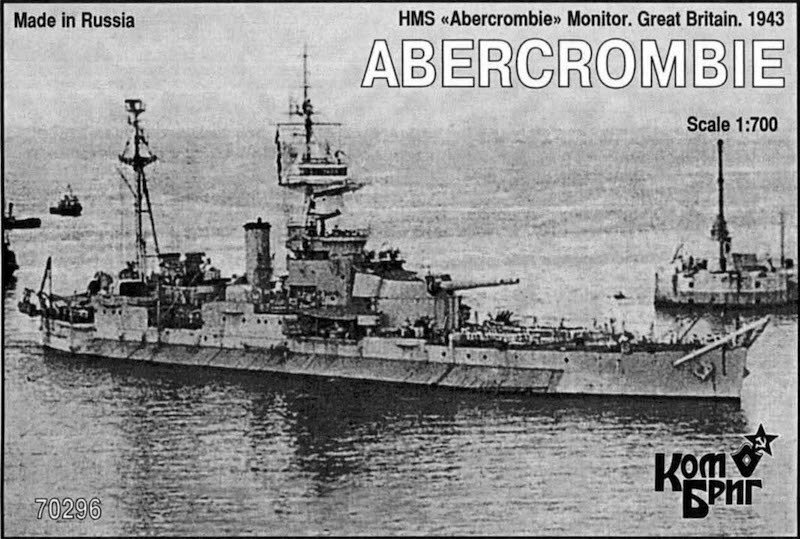 HMS Abercrombie (F109), named after General James Abercrombie, built by Vickers Armstrong, Tyne. She was laid down 26 April 1941, launched 31 March 1942 and completed 5 May 1943. She used a 15-inch gun turret originally built as a spare for HMS Furious. She was damaged by contact mines on several occasions while supporting the invasion of Italy, but was repaired. Scrapped in 1954.